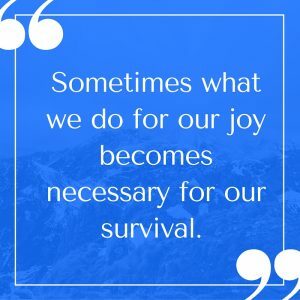 Sometimes what we do for our joy becomes necessary for our survival. That was true for me last week, on our family vacation. But last week, it became a “need-to” and “can’t get by without it.” My family was traveling. We drove fifteen hours from Southern California, where we live, to Oregon, to visit dear friends. I love road trips for the time they provide for reflection and good conversation and for listening to pod casts and music. But spending fifteen hours in a car wreaked havoc on my body. It left me with aching back muscles and with a locked jaw that just would not release. message therapist did not do enough to release my aching muscles, I realized that stretching could not be optional. It is necessary for my survival. nk you” and “It’s about time.” I could feel the tightness beginning to leave my muscles. We were not created to be stationary. We were designed for motion. Stretching helps pull the kinks out of muscles that have been still for too long and restores muscles that have been working on overtime. It prevents injury and increases our mobility. And it feels so good. So, if you haven’t worked stretching into your exercise routine, I encourage you to. As dancers, flexibility is crucial for our ability to dance over the long term. It enables us to improve our technique and tones our muscles. And it also provides time for reflection and prayer, a time of stillness for our souls while our bodies are both working and relaxing. 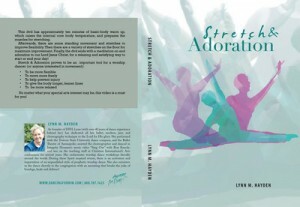 I encourage you to try one of Lynn Hayden’s stretching DVDs. If you are new to stretching, Stretch and Adoration is the best to start with. It is my favorite and ends with a time of worship and prayer. Balance and Stretch and Strength and Balance are great to follow on with. They contain more advanced stretches and also end with a delightful time of relaxation. If you try these, let me know what you think. What may start as a “should-do” will be come a “don’t-want-to-miss-it,” and some time, like me, you may find that you cannot afford to miss it. 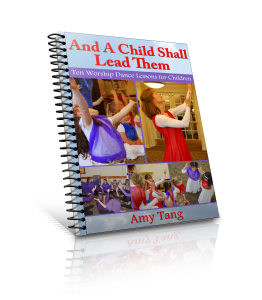 Here I’ve included a short tutorial teaching one of the techniques on the Stretch and Adoration DVD. Enjoy! Next Next post: Are you capable?